The 2013 MWEB Mpumalanga Championships in May 2013 delivered a number of surprise results where the 'Old Guard' was taken down by the 'New Turks'. Of the surprising results, probably one of the most notable was the victory achieved by the young Kyle Turnbull. Even though Abubakar Ebrahiem, who represented South Africa at the 2011 IeSF World Championships in South Korea, competed in the championships, young Kyle Turnbull still dominated the event. The match between Abubakar Ebrahiem and Kyle Turnbull ended in a draw, but the number of outright victories earned by Kyle ensured that he won the 2013 MWEB Mpumalanga Championships. Abubakar Ebrahiem had to, quite uncharacteristically, settle for second place. Kyle Turnbull then only competed in the 2013 MWEB South African National Championships in December 2013. Again Kyle showed his true form and skill and totally dominated the rest of the field. At times it seems as though Kyle is at one with the controller. Kyle waltzed through all of the opposition to win all the games that he played. As a result, Kyle Turnbull was awarded, apart from first place, his Primary School Provincial Colours, Senior Provincial Colours, Junior National Federation Colours as well as Senior National Federation Colours. Kyle walked away from the SA National Championships as the most decorated player ever from any one MSSA event. Now with the 2014 MWEB Mpumalanga Championships just days away (24 & 25 May 2014), all eyes turn towards Kyle Turnbull to see if he can remain unbeaten on his home turf in the popular game of FIFA'14®. With the MSSA going to be engaging in a number of international on-line test matches in the game, the other top players are all deep in training as without doubt, Kyle Turnbull is now the front-runner in the game and for a place in the official national Protea Team. The Mpumalanga Championships are fast growing in popularity and have grown in size from year-to-year. The 2013 Mpumalanga LAN Championships saw 22 players get awarded provincial colours and 67 players qualify for National Team Trials. Registrations will close on the 16 May 2014. Players who wish to compete in any of MSSA's Championships are advised to complete their annual registration forms so that they may registered as Registered Players as soon as possible. Late entries will be accepted in exceptional circumstances. All gamers are reminded that the Mpumalanga championships is an open championship.In other words any registered player is entitled to enter the championship – no matter where they live, or their category of membership. If you have any queries, please contact the MSSA. It was in the annual MSSA's MWEB Dota 2 On-line Championships that the team 'Some Random Slackers' from the Knights Mind Sports Club showed no quarter as they cut their way through one opponent after another showing their true mettle. 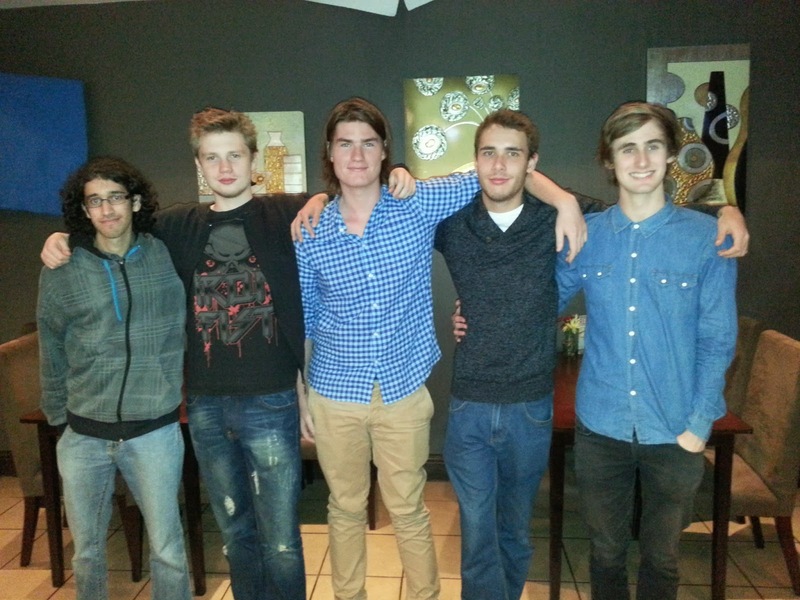 The MWEB Dota 2 On-line Championships were the last chance that the South African gaming community had to qualify for the 2014 Protea Team Trials. While many teams had taken advantage of the year long qualification period, there were a few teams that left qualification for the National Team Trials to the very last minute. The Cape Town based team 'Some Random Slackers' was just one such team. All five members of the team are from Cape Town. The team members of 'Some Random Slackers' are; Ion 'NotioN' Todd, Tim 'Zealot' Mostert, Jason 'Mehcrim' Bredberg, Dylan 'Pixelpusha' Henderson, and Saleem 'Slimz' Manjoo. Nevertheless, the team seemed to work well under pressure as they demolished each and every team that they were drawn against. Such was the skill of the team, under the leadership of Ion 'NotioN' Todd, that the team ended up winning all their games and thus also earning themselves Western Cape Provincial Colours at the same time. Only the two teams from Tuks University tried to stop the relentless onslaught, but to no avail. The team has thus too sailed through to qualify for the Protea Team Trials in which 17 other teams have also qualified to make the 2014 National Team Trials the most hotly contested trials ever. It is at such trials that the MSSA shall select the official South African National Team that shall play in a number of on-line test matches. With the debate surrounding what is, or isn't, a national federation, it is important for people to know how federations are formed. Although I will be writing in general terms, the basics apply to practically every national federation. All you need is one individual who wants to play with other individuals. Eventually through a sense of community, the individuals playing together form a society to reflect their common interest in the game, and as such a club is born! Then the newly formed club looks for other clubs to play against. Should they not find any, the club either stagnates and eventually dies, or it boldly, and unabashedly, promotes the growth of other clubs. Once the clubs have created a framework for competition, the clubs generally come together to form the federation. As such, the club always precedes the federation. The MSSA (https://www.facebook.com/mindsportssa) is no different. Some of the member clubs date back as far as the 1970's (Wits Wargames Club which was founded in 1979) whereas the federation was only founded in 1985. This is true for swimming as well where clubs in what was known as the Transvaal were founded as early as 1884, but the Transvaal Swimming Association was only founded in 1902. Even in football, a British club like Cambridge was founded in 1846, the Football Association (English) was only founded in 1863 whereas the international federation (FIFA) was only constituted in 1904. However, what is important to note is that at no time does government become involved in the creation of these national sport bodies. In fact government involvement is decidedly frowned upon and discouraged by the international controlling bodies. So, just like any other sport, eSports has done its time in developing the national federation with the first clubs being formed in the 1970's, the national federation being formed in 1985, and the international federation (the IeSF) being formally constituted in 2008. Few gamers will understand the amount of work that it has taken a small group of dedicated people to get eSports to this level, and many of those who have poured their hearts and efforts into this project may very well be forgotten over time. However, the legacy of having a non-profit structure that is dedicated to the promotion of the games and a structure that is dedicated to serving the gamer will endure for many decades to come! Oh the shock, the horror, the indignation! Today gamers had a new talking point. On a couple of fora, gamers have expressed their outrage at why the MSSA should hold leagues and championships just for female gamers. The main argument is that eSports in particular, and gaming in general, is not dependant on race, class, or gender! While it is true that females are better drivers, are generally more intelligent, have a better sense of smell, have a better ability to identify hues, and have better social skills, many females remain excluded from all the benefits that society affords. So it is true for gaming! There are very few females who are involved in gaming. Those that have entered the fray have had to overcome almost insurmountable odds and have been at the wrong end of intimidation, vulgarity, and boorish behaviour. The achievements of female gamers are often attacked by various male gamers in an attempt to diminish their achievements in what seems to be a puerile display of jealousy. Not only that, but the games being promoted often do not express the female gamer's story. Most of the games are written using the male experience, designed by men and programmed by men. As a result, the game that comes out does not reflect the female gamer's life experiences. So with so much still being unknown about the differences between males and females, how can one claim that both genders are the same? But more than that, why are there male gamers who have taken such affront to separate leagues and championships for women. Is it not great that double the amount of people can benefit from the advantages? Is it not great that both males and females have the opportunity to equally represent South Africa? Why would any man want to deny a female the opportunities that representing South Africa affords them? What could be the possible reason for one half of the population to deny the other half the opportunity to represent South Africa? The heated outrage by a few gamers certainly makes you question their motives, does it not? Could it just be that those that are upset just do not want to share? 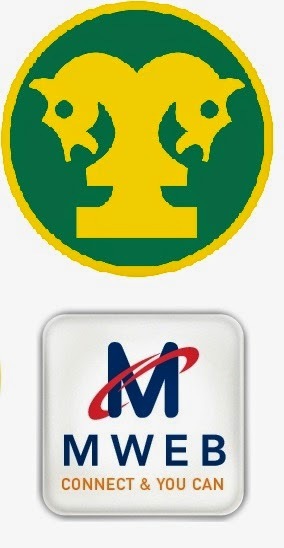 It is interesting to note that the MSSA already has a number of schools involved in gaming. MSSA for over 10 years. Other notable schools are St John's College and Roedean. Of course, one cannot ignore Northcliff High School either which dominated at the recent Gauteng Championships. However, before anyone asks why there has not been a school league up to now, the answer is simply, there has been. The physical inter-school league got off to a slow start in 2011. Although there were a number of schools interested, only a prtion of the interested schools could deliver and begin participating. 2012 saw a greater number of schools coming into the league. 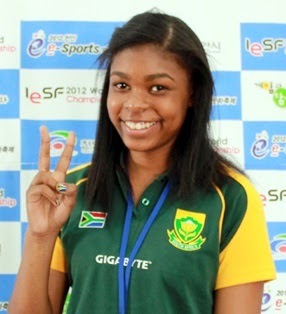 Gabriella Isaacs from SAHETI was propelled upwards into the national Protea Team that represented South Africa at the 2012 World Championships in South Korea. The growth experienced in 2012 was further cemented in 2013 with even more schools affiliating to the MSSA. Such was the growth of school clubs, that at the majority of senior Provincial Championships, and at the S A National Championships, it was school teams that outnumbered the other teams. The 2013 S A National Championships saw learners attend from all but two of South Africa's nine provinces. Not only that, but the championships also saw the greatest amount of female participation than ever before at a S A National Championships. The announcement now deals with the introduction of an on-line league. It is hoped that the on-line league will lead to even greater interaction between schools, and will further improve the standard of gaming in South Africa. Considering that the teams may only participate from a school venue, with the Educator-in-charge being present, it is also hoped that the average level of sportsmanship will too be improved. The results of the league will then be distributed to the media. 2014 is going to be a good year! The MSSA was faced with doing a venue change just three weeks before the event due to certain connectivity problems being experienced by the host club. Anyone who has ever organised a LAN will know the problems that having to change a venue at short notice pose to the organisers and more importantly the participants. However, the membership rallied, and a new venue was found in the form of HTS Tuine in Pretoria. Special thanks must be extended to the school for accommodating the event, and to all those individuals that made it happen. The school proved itself by having all the requirements to host a successful championships, and thus, the championships were held without a hitch on 29 & 30 March 2014. Nine member clubs from three provinces contested the championships. However, there was not the turnout in female gamers as experienced in North West, but it was pleasing to see the number of mixed female and male teams in the team events. Certainly, compared to 2013, there was a greater number of female participation at the Gauteng championships. Obviously the emphasis that the MSSA is putting on the development of females in gaming is starting to bear fruit. It is hoped that the 2015 championships will see even more female gamers especially now that the MSSA makes provision (in accordance with IeSF rules) to hold competitions in all titles for both female and male teams and/or players. The championships saw the newly formed Tuks Mind sports Club take the lion's share of the medals, but also saw the Mpumalanga based All Stars Gaming Club assert its dominance in the CounterStrike GO and OSU titles. In total, 23 gamers earned the right to wear Provincial Colours. A further 11 students were awarded Student provincial Colours and 10 learners were awarded High School Provincial Colours. All those that were awarded the various Provincial Colours were immediately given both their certificates and a high quality 195gsm golf shirt to indicate that they had received such colours. It should also be noted that Lucille Brown was awarded Provincial Colours for OSU. Lucille is the first female to earn provincial colours for the title, and it seems as though she will be most competitive in the game. The MWEB championships too saw a total of 73 gamers qualify for National Team Trials. With so many gamers qualifying for trials, there is no doubt that the MSSA will have sufficient teams in order to select teams to represent South Africa. Basically the owner of the blog was trying to distance himself from accepting responsibility for an article that he printed on a blog that he owns. In the matter of DUTCH REFORMED CHURCH V RAYAN SOOKNUNAN the facts are briefly that Mr Sooknunan put up a Facebook page which was then exploited by members of the public to post inflammatory and defamatory content directed at the church. The Church brought proceedings against Sooknunan to cease and desist, as well as for damages incurred. Sooknunans defence was that he was not responsible for content as he had not posted it. The Court ruled that as Sooknunan was responsible for the Facebook page and allowed such defamatory content to be posted, based on his control of the site, he was liable for the defamation of the church. It follows that any party who controls a page, blog, Internet home page, Facebook page etc., is not only responsible for own content, but all content posted to such a page. It is therefore critical to monitor all content, regardless of origin, edit and remove all unwanted content. Thus it is not good enough to state “Well if you had read the article you'd see that it wasn't us writing it.. but someone else”, because by allowing the article on your page, you are actually agreeing to such article and making yourself liable.